For almsgiving during Lent, consider making the needs of the homeless your own by giving to Father Joe’s Villages. Learn about some of the people we’ve seen overcome homelessness during our many years of service to our neighbors in need. Each year, I look forward to the time of Lent. More than just a time of prayer and reflection, Lent calls us all to be mindful of those in need around us and to take action. Father Joe’s Villages and our generous donors have a long history of making the needs of the homeless our own. In 1982, when the late Bishop Leo T. Maher called upon Father Joe to create a “preferential option for the poor”, he was determined to expand services to the increasing number of individuals and families who were homeless near the St. Vincent de Paul Center at 16th and Market Streets. Father Joe embraced this mission with purpose and determination because he believed then – as he does now – that helping our most vulnerable neighbors was simply the right thing to do. Each day, we endeavor to carry on the great work of Father Joe by providing shelter, meals, childcare, employment training, health care and other critical services to more than 12,000 people a year. After so many years of seeing people overcome homelessness after living on the streets without beds, warmth, food or shelter, Father Joe and I know that each day we must be thankful for the blessings in our lives. We ask that you too take time this Lent to reflect on your blessings and ask what more you can be doing to give people like Andrew, Jill, Monti and Rob a chance for a better life. It’s important that we make our neighbors’ needs our own and work together on solutions that will ensure the health, dignity and safety of people experiencing homelessness. 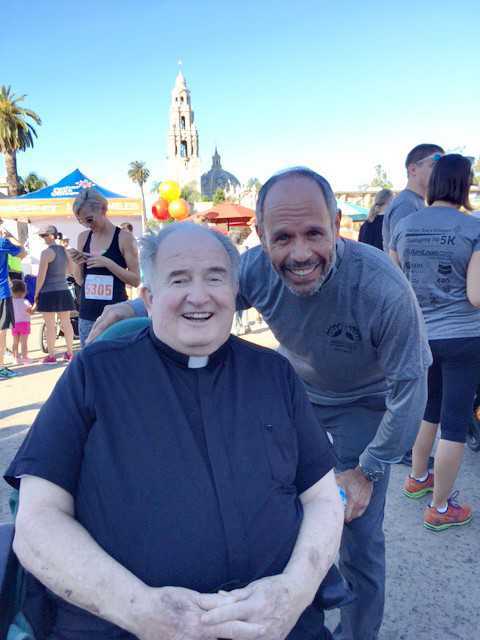 Join with Father Joe’s Villages in lifting up and giving hope to people who are homeless in San Diego. Donate today and see your community shine.